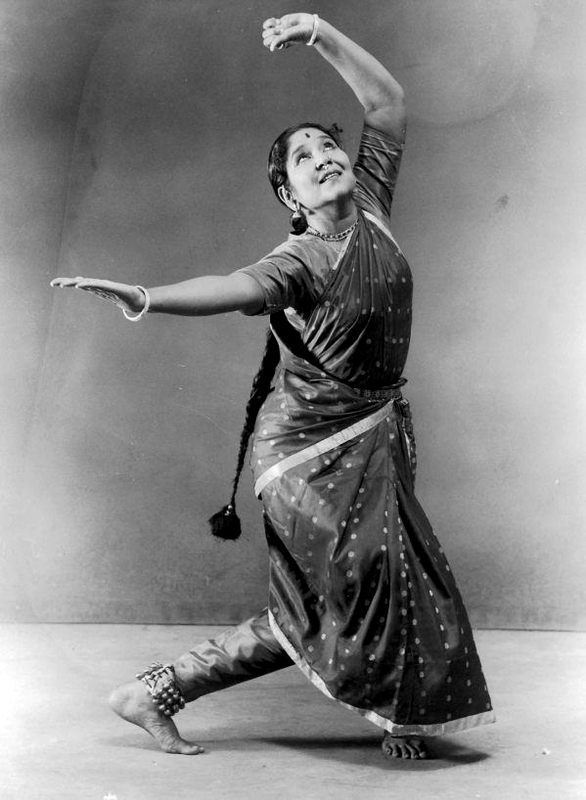 T. Balasaraswati (1918–84), a dancer and musician from southern India, became recognized worldwide as one of the great performing artists of the twentieth century. In India she was a legend in her own time, acclaimed before she was 30 years old as the greatest living dancer of traditional bharata nāṭyam. Balasaraswati was a passionate revolutionary, an entirely modern artist whose impact was proclaimed by some of the most prominent figures in contemporary dance in India and the West. Her art and life defined the heart of a tradition, and her life story offers an extraordinary view of the enigmatic matrilineal devadāsī community and traditional artistic practice from which modern South Indian dance styles have emerged. This according to Balasaraswati: Her art and life by Douglas M. Knight (Middletown: Wesleyan University Press, 2010). Today is Balasaraswati’s 100th birthday! Below, a 30-minute film about her by Satyajit Ray.